For most of these positions, a degree and experience are often preferred. For portrait studios, this may not be the case as many provide on-the-job training. Overall, though, a degree from an accredited college is the best way to increase your chances of securing a lucrative position in the field. Some employer’s may accept an associate’s degree for entry-level positions, while others may require a bachelor’s degree in photography, photography & digital imaging, digital photography, or other related degree. Fortunately, several top ten schools in the State of West Virginia offer competitive programs for aspiring photographers. Just a few include School of Art & Design at West Virginia University and Shepherd University. 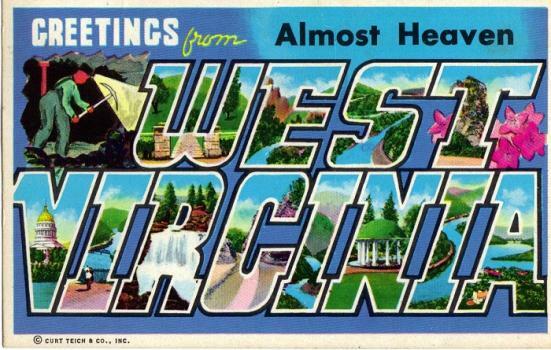 West Virginia is home to 46 Title IV degree-granting colleges and universities. Of the state’s 46 Title IVs, nine are private not-for-profit, 14 are private for-profit, and 23 are public. Whether public or private, for-profit or not-for-profit, all Title IV schools are eligible for federal financial aid programs. This means, even the state’s most expensive schools are accessible to talented students with financial need. Four top-tier Title IVs offer excellent programs for aspiring photographers. Scroll through the list below to review West Virginia’s best schools for aspiring photographers and the programs they offer. West Virginia is home to 5,090 professionals working in Arts, Design, Entertainment, Sports, and Media (ADESM) occupations. Of this group, 140 are salaried photographers averaging $32,990 per year up from $24,750 in 2010 when the state was home to 280 photographers. Nationwide, the median pay for salaried photographers is $30,490 per year. Around three in five photographers are self-employed, so it is safe to assume that the population of photographers in West Virginia is much higher. These individuals typically earn more and enjoy greater employment growth as well. In fact, according to the Bureau of Labor Statistics (BLS), the "Independent Artists, Writers, and Performers” industry has the third highest concentration of employment for photographers. Further, members of this group average $47,180 per year and employment for the group is projected to grow nine percent for the 2014-2024 decade. Projected growth, says the BLS, will be due to the demand for portrait photographers, which will persist as people continue to want new portraits. In addition, corporations will continue to require the services of commercial photographers to develop compelling advertisements to sell products. Nationwide, employment for photographers is projected to grow three percent for the 2014-2024 decade, which is slower than the average for all occupations. At this rate, the industry is expected to add around 3,900 new jobs in the coming years. Overall growth will be limited because of the decreasing cost of digital cameras and the increasing number of amateur photographers and hobbyists, says the Bureau. While employment growth for photographers is projected to be slower than average overall, West Virginia-based photographers can do a few things to increase their chances of finding employment without having to move to California or New York. Consider checking into portrait studios, local publications, technology firms, schools, creative agencies, and design studios. And stick to major cities such as Charleston, Huntington, Parkersburg, Morgantown, and Wheeling.